'Don't Forget To Write' is here! You can purchase my book from the following distributors! Happy 2nd Birthday Lunges, Long Runs and Lattes! It's hard to believe, but today marks two years since my very first blog! It started out very innocently, writing about a trip to Las Vegas to run a half marathon! Who would have thought that two years later, I'd still be writing and getting ready to release my first ebook of essays, 'Don't Forget to Write' in just eleven days? In some ways, the second year of blogging has been more difficult than the first. 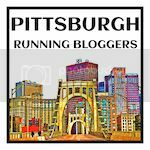 For starters I elected to run the Pittsburgh Half Marathon this year instead of the Full, which eliminated my epic long runs from blogging. Also, the newness of blogging wore off a bit. But there was still plenty to write about! In March I ran my first race of the year, the DC Rock and Roll Half Marathon. It was a great race, except it rained nonstop. It was the worst weather I've even ran in and I've never seen so many people wearing trash bags in a race! I was so happy just to finish this one. I'd love to go back and run it again, hopefully in better weather! Soaked, but happy to finish the DC Rock and Roll Marathon! In May I made my return to the Pittsburgh Half Marathon after slogging it out the past two years in the Full Marathon. I was so excited and a little bit surprised to record a PR of 2:11! Ultimately I would love to get my time under 2 hours for the half and I think I can get there! My last half marathon was in September, called the Boston Harvest Half Marathon, in Boston, PA which is a trail race. When I signed up for this race I initially thought, "Good. It's flat and I can PR." However halfway through this race, I realized that I'm not a very good trail runner, especially in the longer races. It was a very small race and at one point I could only see one runner in front of me and no one behind me. It was lonely and I ended up talking to myself, just to stay motivated. I always knew that I fed off a crowd but never knew until this race how much I needed it! I think in the future I may stick to shorter distances for trail running or make sure that I have a running buddy for the half! Crossing the finish line at the Boston Harvest Half Marathon. I also continued my CrossFit workouts this past year, which has taught me a lot of mental determination and patience. Some days I think I'm improving and then the next day I get knocked back down to square one. It's been a very humbling experience. I also added a new page this year entitled 'Fitness Friends', where I've shared my friends thoughts on staying fit. I know I wouldn't be able to accomplish many of my goals without their coaching and encouragement! I want to thank everyone who has read my blog and encouraged me to keep writing! I know that I'm not setting blazing-fast-running-times or lifting record-breaking-weights, but I am striving to improve just a little bit everyday. Every day I try to become a better athlete, a better writer and a better version of myself. Hopefully I can inspire others to do the same.